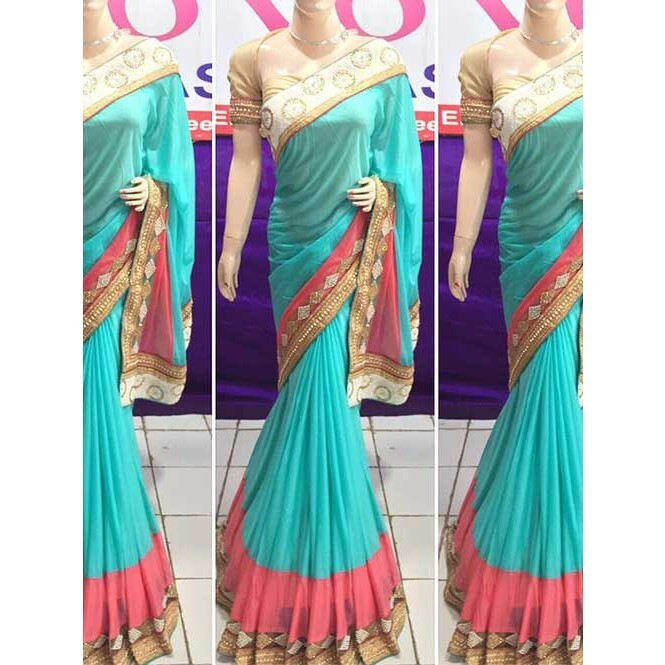 Drape this Sky coloured saree from Grab and Pack and look pretty like never before. This beautiful saree features a classy border, which makes it a smart pick for casual occasions. 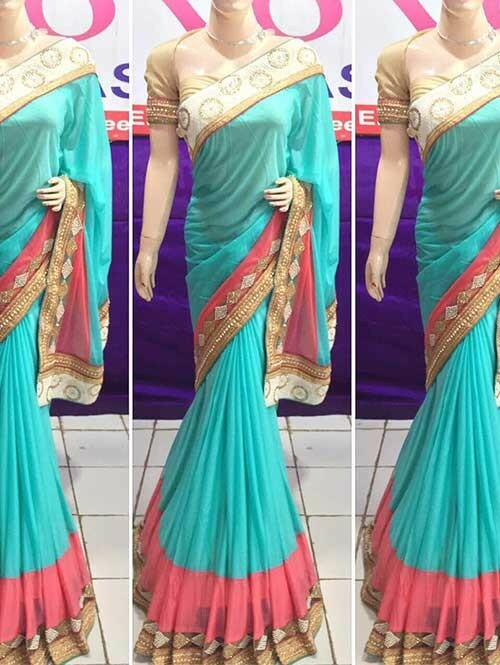 Made from Pure Lycra, this 5.5 m saree is light in weight and easy to carry all day long. It comes with a 0.80 m blouse piece.